Many different species of wood have been used for truck trailer flooring. The most common species in use today are hardwood Apitong which is also known as Keruing, American Red and White Oak, and softwood Southern Yellow Pine. 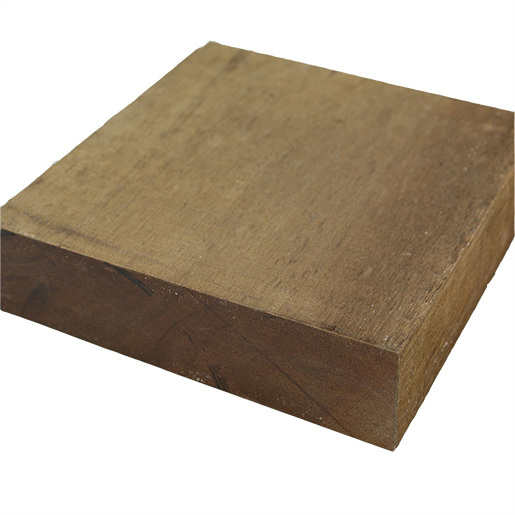 The Apitong wood weighs approximately twice as much as the Southern Yellow Pine wood and the Apitong is roughly three times the strength and the hardness. When comparing Apitong wood to Red Oak or White Oak wood, again Apitong has both higher strength properties, hardness and density. Tropical wood, primarily from Southeast Asia and South America, is generally much more durable, has higher strength properties and weighs more than domestic North American hardwoods or softwoods. Of course, there are many low density woods that grow in the tropics as well, but the list of higher density woods that have been used on trailer floors is long: Purpleheart, Angelim Pedra, Jatoba, Ipe, Cumaru, Greenheart, Bulletwood, Massaranduba, Tauroniro, Shibidan, Tanimbuca - just to name a few.